I know, I know, it’s so cliché. Another Chinese nerd banging on about boring maths. Believe me; I have fought hard to escape this stereotype. Banker and I didn’t get off to a good start as when we first met as students he guessed that I was a maths student. Maths meant to me geeky Asian with no social skills, so I wasn’t much impressed. However, now as an adult in the working world I am thankful for my maths skills and am only regretful that they are not better. As a mother, I positively lament the lack of emphasis on maths in the infant school curriculum and I think that this is of detriment to our children and indeed our country. Britain has produced some of the world’s best scientists, engineers and economists so it is not for want of genetic stock or tradition. Yet why does the Far East continue to dominate the international student abilities (Pisa Test) League tables for maths and science? Nosing around Russell Group Universities, I found a higher proportion of Asians lurking in the corridors of Maths, Engineering and Science departments than in the Humanities departments. Why? From my own up-bringing which I may be erroneously extrapolating to the rest of Asia, education is extremely highly valued. Within that, maths and science is valued above other subjects. So much so that my parents dictated to my sisters and me that we had to limit our A-Levels to 3 of: Maths, Physics, Biology and Chemistry. Despite having achieved better marks in Art and History at GCSE than science, I was to be a scientist. Mad and maddening maybe, but my parents had seen a national focus on science, maths and engineering education allow their country (Taiwan) to gain economic wealth, and unprecedented development within their lifetime. On the backs of engineers, Taiwan is now a developed country and a world player in technology, despite being the size of Wales and having started in the 1940s from a much more disadvantaged base. From a cultural origin of mathematical reverence it is quite bizarre to experience the irreverence to maths in the UK. Whilst an engineer is admired in the Far East, they are depicted as “Anoraks” in the UK. Whilst maths is a subject that both boys and girls are expected to excel in, maths in the UK is for boys, and even then – just for the boys who are born with “that logical, mathematical mind”. Whilst inability to do mental arithmetic is associated with derision and sympathy in the Far East, it is expected, sometimes even boasted about in the UK. I was shocked to find that many fellow well-educated mums were openly admitting that they would struggle to help their children with 11+ maths revision. The reason they were openly admitting this was because they were somewhat proud and not the least bit ashamed to be weak at maths, whereas I doubt anyone would openly admit to struggling to read or write at the level of an 11 year old. This would be regarded as shameful. It has become socially acceptable among the well-educated to be bad at maths. Surely this should not be? Whilst reading is heavily pushed in infant schools, maths seems to be relatively neglected. In the UK reading and debating is cool. Law and politics is aspirational. PPE at Oxford is the Holy Grail. I have no problem with that, but why does it have to be at the detriment of maths and science? If we are a country that believes that children should be allowed to flourish and become what they want to be, doesn’t this include parity of encouragement for numeracy and literacy so that there is a level playing field of areas within which to flourish? From a basis of low National aspiration in mathematical ability, it is no wonder that Banker states that the majority of banks are recruiting their quantitative skills staff from Asia. These skills are so sought after that my sister (who possesses a maths PhD) had no problem acquiring a highly paid job within 2 weeks of arriving back from the USA after deciding to return to the UK to be a more present Auntie. I am sure she would have found it harder to find a highly paid job had her PhD been in English Literature/ Greek Philosophy/ Viking History. At the population level one wonders whether the average Joe and Joan Blogs could calculate their expected monthly increase in mortgage repayment if the Bank of England were to increase interest rates by .5%. Yet these sorts of calculations are vitally important to keep roofs over heads and food in mouths. Maths is a vital and sought after skill, why are we not investing in it at the very grass roots? Probably it is because the people in power don’t value or understand maths and science. Shockingly only 1 MP out of 650 has a background as a primary science worker as reported by The Guardian, and headlines of “Only scientist in Commons alarmed at MPs ignorance [about science]” in The Independent say it all. Only 70 out of 650 MPs are even registered as having “an interest” in science at all (reference here). That’s probably less than the number of MPs who are actively writing history books alongside their Parliamentary careers. I am a great supporter of the arts, but am also a strong believer that the basic level of maths and science needs to be raised and society can change this. As a social observer I see that a culture that values maths produces a society with strong mathematical ability. As a psychiatrist I know that “intelligence” is more likely to have a uniform rather than varied profile (so most children who are good at English should be as good at maths). Children with a varied profile are more likely to encounter difficulty and see a Child Psychiatrist, but over the general population they are a minority. As a researcher in behavioural genetics, I know that “g” (geneticist’s annotation for genetic “intelligence”) is generalist meaning that it applies across the board for all areas of intelligence and children who are genetically advantaged in English are also genetically advantaged in maths. Specialism or differentiation on the other hand is environmentally mediated (Kovas et al 2007). This means that in general, whether an intelligent child chooses to specialize in maths or English is due to its environment (parents, school, society); and even more crucially, where a child performs well in English but does less well in maths, this is also due to the environment (parent, school, society). Back in the Shrink household. Big Sis’s state primary school pushes reading. So they should. All parents are expected to read with their children every night. The school challenged Big Sis at reading so much so that in Reception she was given “chapter books” to take home for her to read to me. At 5 and a half she was expected to read books containing the word “obsessed”. She could read the word but had no clue what it meant nor was she able to understand it when I tried to explain it to her. Big Sis began to hate reading and cried every night when I asked her to read to me. I persisted in thinking “if her teacher has given her this book, she must be capable of reading it”. After a few weeks of this, I gave up and thankfully went with my own judgement that these books were frankly too hard. 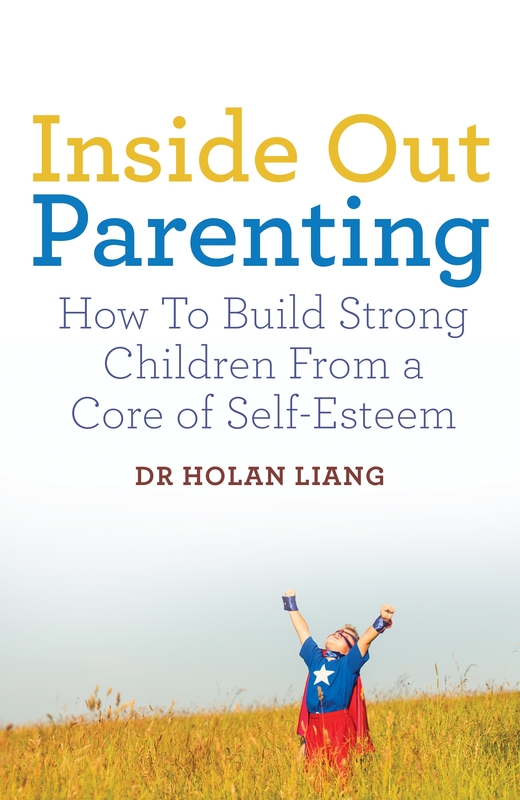 I must be the only “Chinese Tiger Parent” to have written to the class teacher to say “Excuse me, but I think that you are over-estimating my child’s ability, can you put her reading books down 3 levels please”. At the same time, while we parents were expected to battle to help children achieve advanced literacy, there was no expectation on us to do any numeracy with our children regularly. I don’t blame the school (it’s a great school), it’s not in the National Curriculum, no state school that I know in the UK encourages numeracy in this way, but I am pretty sure it happens in the Far East. When I received Big Sis’s report card from Reception, she achieved “exceeding” scores in literacy but achieved “expected” scores for maths. My initial response was “How is this possible? She comes from a family of scientists and mathematicians! Maths is a family tradition.” Truth be told, I would have been happier with “expected” scores for literacy. To make matters worse, when I asked Big Sis if she was struggling with maths, she said “Maths is too hard. Maths is for boys”! Rather than accept that “maths is hard, and she has not been born with a mathematical mind (she is a girl after all)” I set about setting Big Sis a few counting and maths problems every morning, to balance the reading that was set by the school every night. My view was that of course Big Sis’s literacy was better than her numeracy – I was required by the school to support her literacy on a daily basis but not required at all to support her numeracy. Since then, Big Sis’s maths has come along and she was rated of equal ability in maths and literacy by the end of Year 1. She will now confidently say “I am good at maths”, and attempt maths problems rather than avoid them. The solution was so simple, yet why are schools not breaking down maths to simple parts and pushing numeracy in line with literacy from reception? I’m not talking about solving quadratic equations, but if children are encouraged to count and add sweets/ pocket money/ count the number of days until Christmas etc. daily from a young age, does this not take the “difficulty” stigma out of maths? I have found that the majority of children enjoy doing the things that they are good at. Some children are naturally good at certain things (Lil Bro is maths minded and will seek out for himself mathematical problems; he was a voracious consumer of jigsaws), however this is rarer and the majority of children become good at things. Once a child is good at something, then they will invest in doing these things and become even better at them. 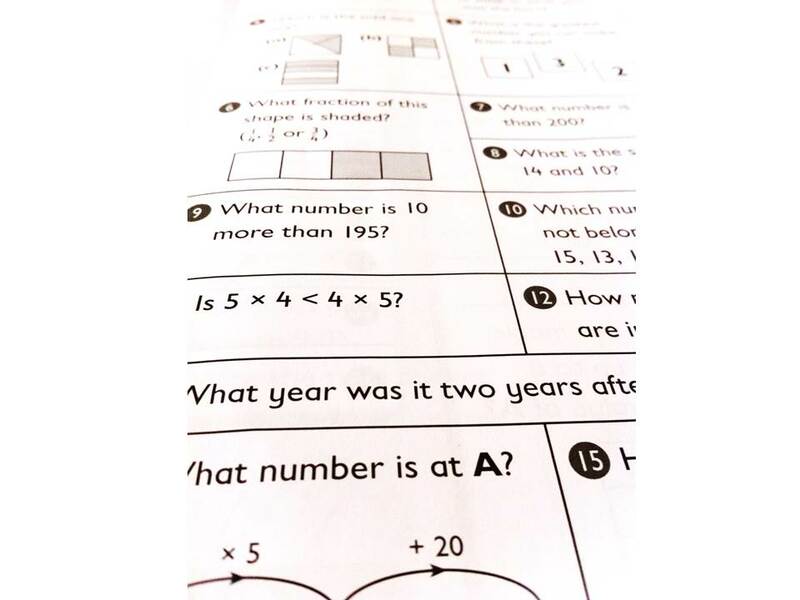 By the time that the National Curriculum suggests that children start doing the core of maths, their expertise and skill in literacy is far ahead of their mathematical ability. At one stage Big Sis was reading Roald Dahl’s “Fantastic Mr Fox” at school but did not know what 2 x 2 was- to me this seems completely unbalanced. Literacy and English become the favoured subjects and maths will be relatively challenging and therefore more unloved. The opportunity to sell maths to children is hijacked by literacy being given the advantage of earlier exposure and active encouragement. In the Far East, 5-6 year old children will learn their times tables up to 12 by rote. Before you utter “We in the UK are not rote learners”, think about the reception classes up and down the land chanting their jolly phonics sounds “igh, igh, igh”; “Ph”, “Ph”, “Ph”; “ee”, “ee”, “ee”; “ai”, “ai”, “ai”. This is rote learning as who could fathom that “igh” is pronounced “i”?? Once the connections are entrenched by rote learning, it is possible to learn about the Latin and Greek from which words are derived, in the same way the meaning of relationships between numbers can be learnt. The rote learning gets you started. I am pretty sure that had I not taken action to support Big Sis’s maths in the same way that I was required to support her literacy that Big Sis would not now confidently declare that she was “good at maths”. Without a sound understanding of maths, the enjoyment of the sciences would be in jeopardy. Isn’t it time that we put numeracy on equal footing to literacy in early years education, as only then can we really say that we are allowing our children equal opportunity to select for themselves their strengths be it science or the humanities? The Genetic and Environmental Origins of Learning Abilities and Disabilities in the Early School Years. Yulia Kovas, Claire Haworth, Philip Dale & Robert Plomin. Monographs of the Society for Research in Child Development, Serial no.288, vol 72, no.3, 2007. But I myself (although at university I went on to study languages and then social sciences) loved maths and science as a child. I went to a computer science high school, where we had 13 hours of maths/computer programming per week (plus 5-6 of physics, 4 of chemistry) and only 2 each of languages (Romanian, English, French). My colleagues went on to study and work in engineering, IT, finance, architecture, medicine etc., while I was the only one to do humanities, but I don’t regret it for a minute. I may have forgotten most of my high school maths and science, but I am still fascinated by the latest scientific discoveries, have surrounded myself by scientist friends and can have great conversations with them. It’s a false dichotomy – we can be (and perhaps need to be) both ‘cultured’ and ‘scientific’. One doesn’t come at the expense of the other. Thanks. I agree, I am a scientist and I enjoy the arts and I know people who studied English at University with maths and physics A-levels so there should not be a dichotomy. As the genetic research is showing, although genes are dictating a large part of intelligence, environment has a large part in which aspects of intelligence are pursued. As you say, your sons are equally capable of arts and science, but their environment, (great enthusiastic scientist father) is influencing them towards science. My parents too influenced me into science. I think in the UK schools there is a bias towards the arts. Certainly there was a trend towards more arts A-levels being taken, but thankfully more recently there are signs the trend is reversing. I know this is not the case in other European countries as the French are well known to promote science, and again have strong quantitative skills. I am presuming your high school was not in the UK (as you studied Romanian which would be rare in the UK) and that you had a rebellious streak as despite the environment of science, you chose the arts. Good on you! I always wanted to go to art school but clearly was the conformist type! I guess what I was trying to say was that if we want balance we need to make sure the very youngest students are equally exposed so that they can make their own decisions later from a point of good understanding of both subjects rather than be shoe horned into decisions because of a better developed skill set in one over the other. Perhaps I can share my son’s experience at a British school in China. At year 2 they put equal and great emphathsis on English and Maths to the point that they are streamed for phonics and Maths from year 1. Add Mandarin to the equation (also streamed) and these kids have their work cut out for them. I am not a fan of the streaming at such young age though as I think it is unwarranted and puts too much negative pressure on the kids and their parents. Thanks Betty! Streaming and expectation is something else, I suppose I was thinking more about balance rather than absolute amount! Overburdened kids (and parents!) is obviously not ideal!